Ballance was born Boxing Day 1892 in Fairlie, South Canterbury, New Zealand. Ballance was named after John Ballance, Liberal Premier of NZ from 1891-1893. Ballance Slow’s birth certificate spelt his name “McKenzie” however later documents spelt the name “MacKenzie”. He was the youngest of four children born to Frederick Aldophus Slow and his wife Mary Philedelphia Bell nee Williams. The couple two other sons, Frederick and Ernest, and a sister Maud. His mother Mary was 35 when Ballance was born and Frederick was 53. It was the second marriage for both parents. Mary Williams had previously been married to Alexander Bell and had three sons, Arthur, Cameron and Francis Henry. She started her second family with Frederick some nine years later. Frederick had previously been married to Jane White who had died in the Wellington Mental Asylum some 14 years before Frederick married again. It is not believed that Jane and Frederick had any children. 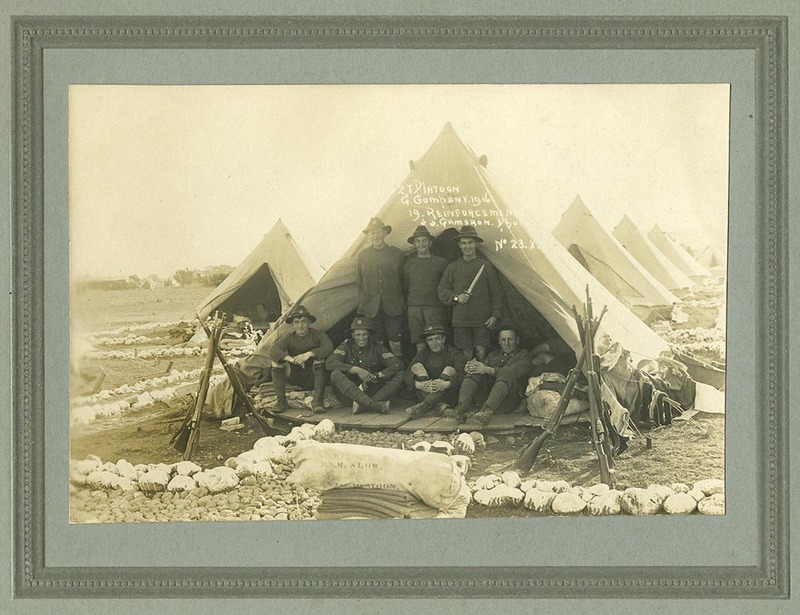 Ballance and his three full brothers all went away to fight for King and country during the First World War. Frederick did not return, nor his half-brother Cameron. Ballance grew up in Fairlie and lived in Gorge Road, Fairlie. (now called Talbot Rd). His father died when he was only 5, his mother when he was 37. He started working as a bootmaker but he didn’t like it, possibly because of a health problem and went into carpentry instead. It is believed he did an apprenticeship. 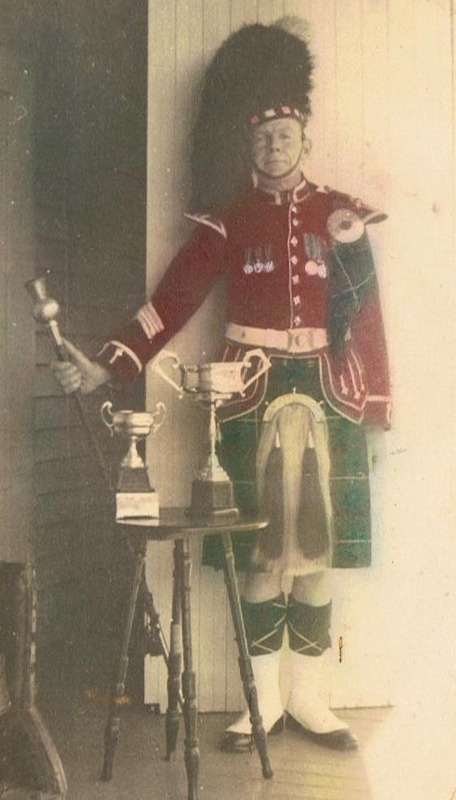 He worked for a company called Foden in Fairlie, who were builders before the First World War. He was also a member of the Fairlie Volunteer Fire Brigade. 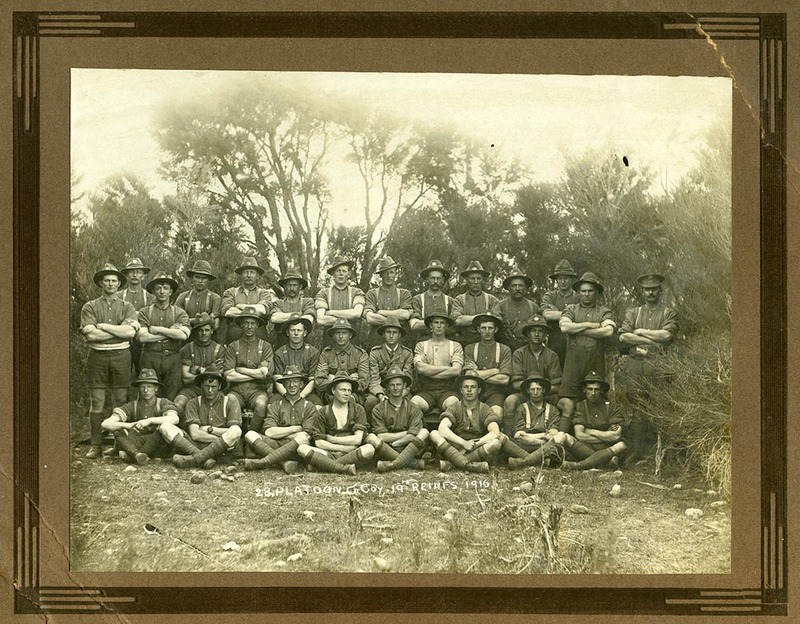 The brigade was only formed in late 1908 and records shown he was a member between September 1913 and July 1916. 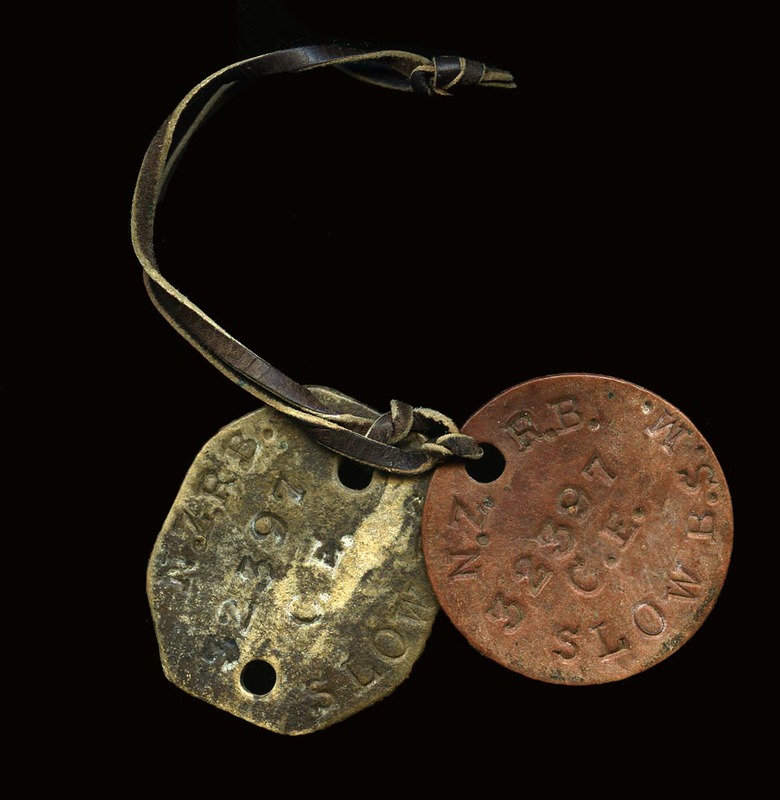 Balance then received his 5 year medal on 2 September 1918, suggesting his service overseas in the army was counted as time served. He went on to earn eight 2-year bars before being awarded his 25 year service star on 2 September 1938. 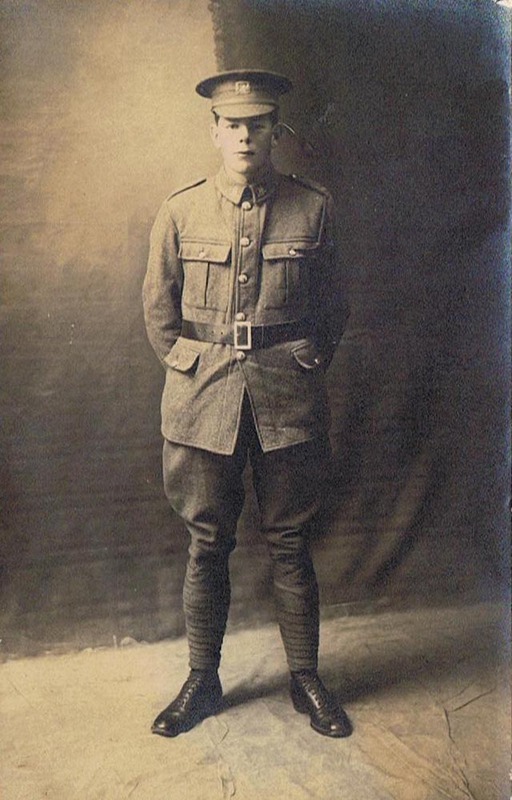 On the 27th of July 1916 Ballance was attested into the New Zealand Expeditionary Force at Trentham. He was 23 ½ at the time. He was 5'10' with a fresh complexion, light brown eyes and brown hair. The medical examination showed he was in good health and suffered nothing too debilitating such as varicose veins or haemorrhoids. He also did not suffer from colour blindness. He gave his religion as Church of England although whether he was a real believer is doubtful as he certainly wasn't later in life. In his will he left all his worldly possessions to his mother. BSM SLOW NO 32397 started his army life as a Private later to be promoted to Lance Corporal on the 1st of June 1917, while serving overseas. He was a member of the 28 Platoon, G Company of the 19th Reinforcements. 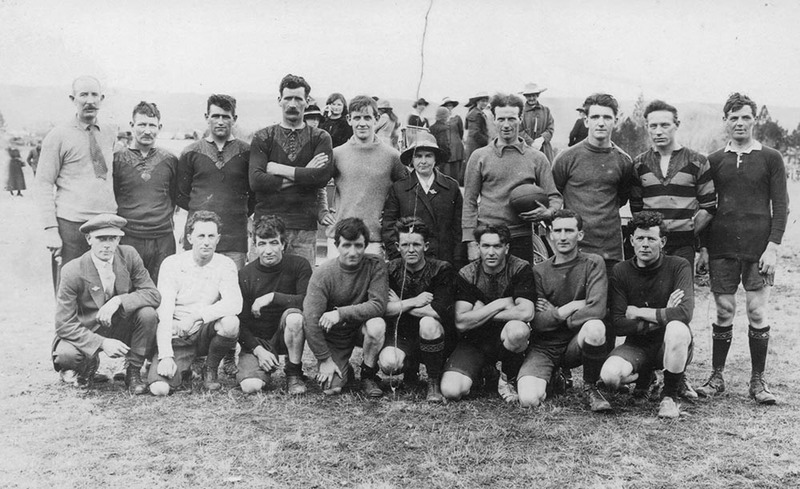 His records show he stayed in training in New Zealand for nearly four months before leaving for Europe and the conflict. Ballance set sail from New Zealand on the ship "Tahiti" on the 15th November 1916 arriving in Devonport, England on the 29th January 1917. While at sea Ballance wrote to his mother Mary. It was dated the 6th December 1916 and was probably sent from Albany when the ship docked there for several hours. He wrote "Dear Mother" ending with an affectionate "Your loving son Ballance xxxxxxx"
From reading the letter he appears to have had a close and affectionate relationship with his mother unless the strangeness of his new life had made him more emotional than usual in his writings. The letter is written in pencil and has been read by the censor as one of the place names had been obscured with a blue pencil. It appears however that the censor may have missed censoring the same place name later in the letter..."Albany"
The letter sounded cheerful and seemed more like to me someone going on holiday with his friends rather than heading off to his possible death. Did Ballance have any idea of what was waiting for him across the world, or was he being particularly positive so as not to worry his mother? He talked of concerts and singing and sports on board the ship and of the weather and the fact it had been a calm trip during that first month. If his experience of war had not brought home the reality of service in the First World War, injury surely did. In March 1918 while serving in France he received a gunshot wound to his left arm. In September, following his recovery, Balance was transferred. He spent the remainder of the year, and until the end of the war, as an instructor at the School of Physical and Bayonet Training in Portsmouth England. His son Desmond thought that the army had sent him there as his brother Frederick had been killed and Ernest had been wounded. It is believed he was sent there to be kept out of harms way. There are several photographs taken during this period. 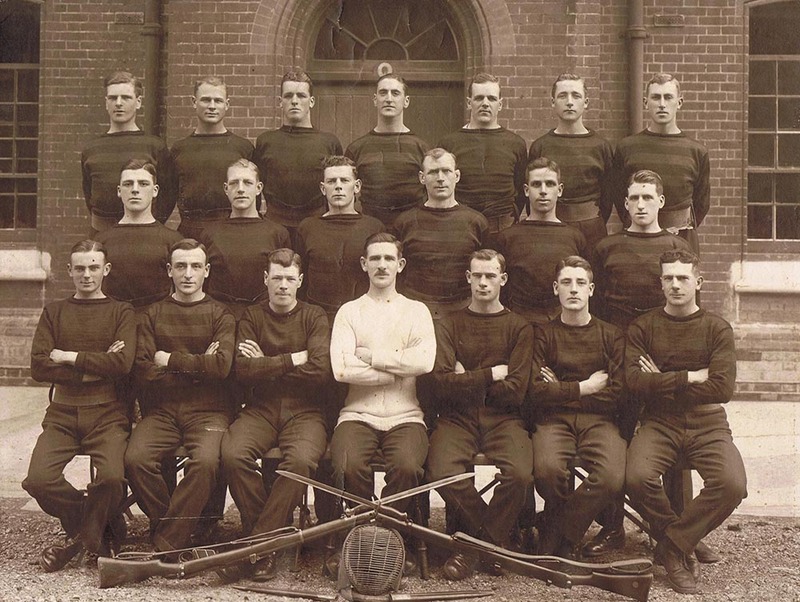 Ballance is featured in the 50th Instructional Course, Army School of Physical and Bayonet Training, Class 1 Portsmouth Branch photograph dated 25th October 1918. 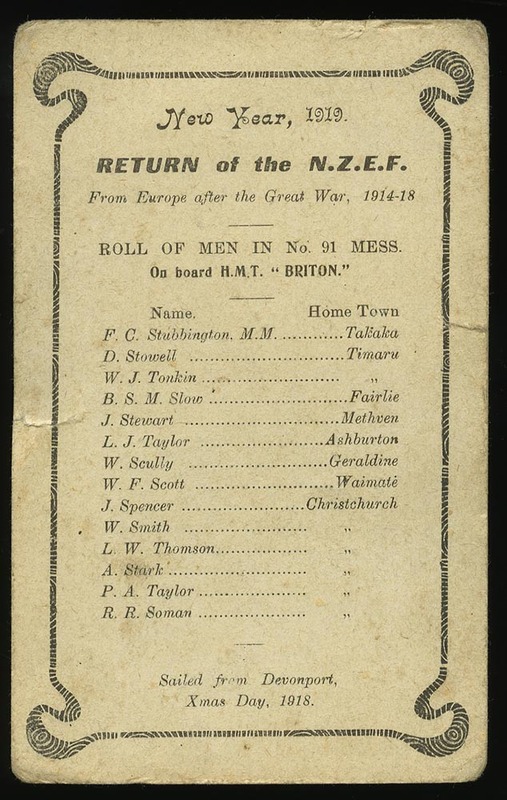 Finally, after 2 years and 76 days away Ballance returned to New Zealand on the ship "Briton" arriving in New Zealand on the 29th of January 1919. It was always said by Ballance's later wife, Rosie, that he had been gassed during his time overseas and this resulted in his lung condition that eventually killed him. There is no mention of this on his military records. Ballance didn’t talk about the war to his son’s although there is one story Ezric remembers him recalling. Ballance had the duty while in the field to distribute the daily rations. On one particular day the soldier carrying the rations had been shot and there was a lot of blood. The bread rations were covered in blood and no one would eat them, except for Ballance. 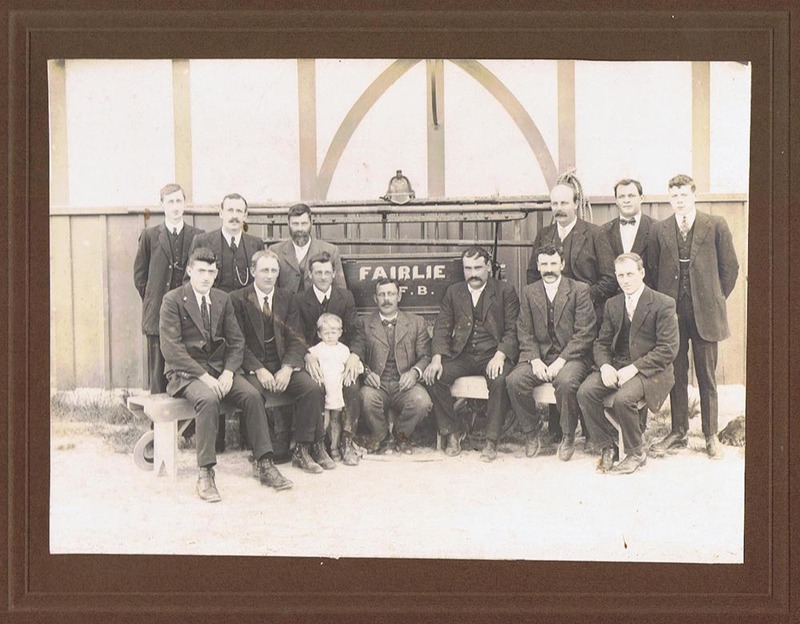 On his return from war, Ballance returned to his home town Fairlie and his trade as a carpenter. In 1924 he married a local girl, Rosie Robina Bray, daughter of local farmer John Bray. Two years later they had their son Ezric Owen Victor (1926-2017). Their second son, Desmond Frederick, arrived eight years later. Ballance built the family a home in Gorge Road in Fairlie, next door to his mother’s house. The street is now called Talbot Street. It was normal in those days to always have the front of the house facing the street, Rosie however wanted it to be different and Ballance built the front door and porch on the side of the house. As a self-employed carpenter times were tough during the depression. He managed to remain working for himself though until 1942 when he was manpowered to Wellington. Not long before that, in 1937, the family had moved to Karitane, Dunedin for a few months - presumably for work. His son, Ezric, remembered his father taking him to the All Blacks match against the South Africians. These were days when the now infamous Danni Kraven was the half back. Ballance also took his son to a wrestling match. Ezric also remembered Ballance was not home very often as his work took him into the country building barns, sheds and houses. There was little work in the town during and after the depression. However he would return home on Saturday, spent Sunday sharping his saws before leaving again that evening to return up country. 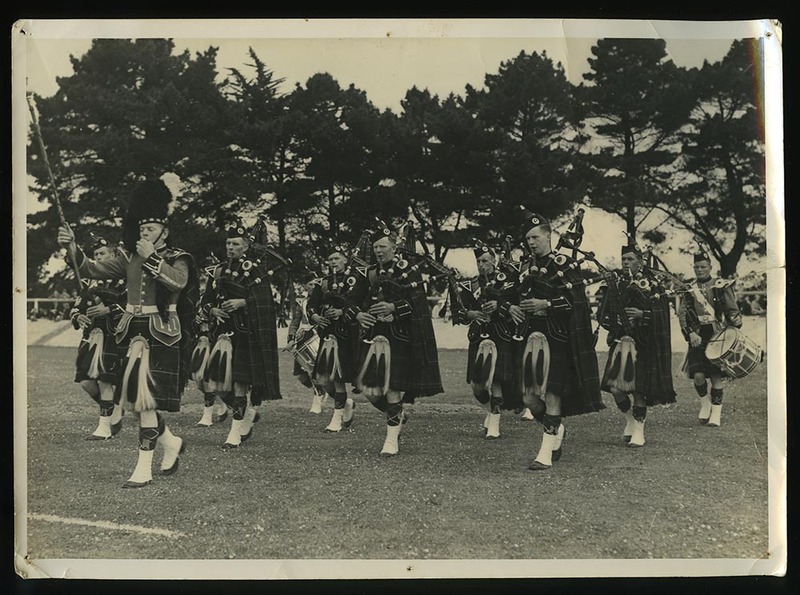 Ballance had two great loves, the Fairlie Highland Pipe Band and the Fairlie Voluntary Fire Brigade. 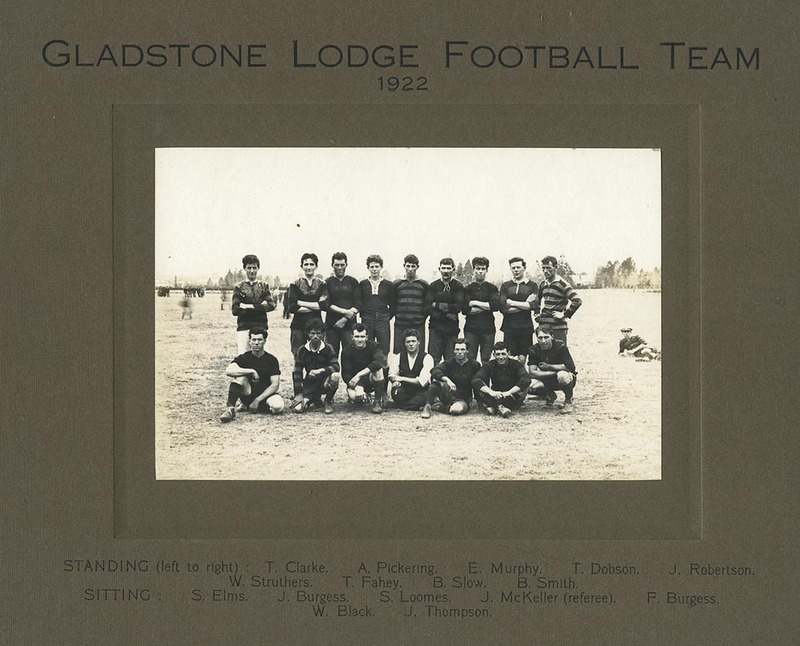 He was also a member of the Oddfellows Lodge. These interests did not continue when he left the district. On 18 August 1942 he received a letter from the District Man-Power Office stating that he was to report to Wellington on the 24 August to begin work as a carpenter with the Secretary of the Wellington Building Committee. For the sum of 3/3d per hour plus 5/- and 30/1 per week he was to work until the end of the war. 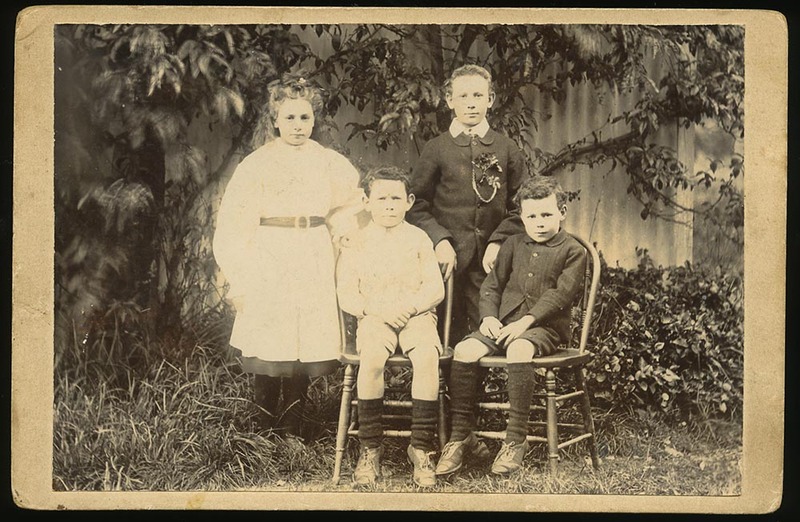 Rosie believed that for the benefit of the kids that the whole family would move to Wellington as the opportunities were greater than in a small South Island town. Rosie seems to have worn the trousers in this family and it his sons suspect the marriage may have had its troubles. In any case, on arrival in Wellington the family lived in Daniel Street, Newtown in rented accommodation. Only Ballance, Rosie and Desmond moved initially, as Ezric stayed working in a shearing gang as a rouse-about for three months. The family then moved to 2 Austin Terrace in Mt Victoria and rented a house there. It as not far from Wellington College and this was the school Ezric went to when he came to Wellington a short time later. In 1946 their own home was purchased and this was at 140 Britomart Street, Berhampore. In the early fifties they moved to another house at 25 Waikawhai Road, Ngaio. This was not a new house - however Ballance made a number of alterations to it during his time there. He was always doing something to it, building this, alterating that. He was not a sickly man but the move to Wellington appears to have been the start of his troubles. He didn’t like Wellington and always wanted to go home. Problems with asthma started about the time of the move. He had gone into hospital a few weeks before his death but it was all rather a shock to the family when he died at the age of 60 years on the 22nd of March 1954 in Wellington. His death certificate gave the cause of death as emphysema and chronic bronchitis, both for many years, asthma for nine years, and with a status of asthmaticus for the three weeks prior to his death. He was a light smoker, rolling his own cigarettes but whether this had anything to do with his illness is debatable. Balance, a quiet man, and well-liked by all. He was buried in the Soldiers Lawn, Karori Cemetery, Wellington, where his wife’s ashes were also buried with him 23 years later.